The Project started with two difficulties. First of all, we faced with a small area, almost 50 square meters, it meant that we had to optimize the common areas in order to gain more operational area but we wanted to avoid also, small spaces. With this objective we took advantage using both facades to release the space. On the other hand, we had to work with a building with high historical value, so after several conversations with the Public Administration, we chose a solution that helped us to emphasize the facade respecting the traditional aspect. To do this, we chose a open fence to avoid an aggressive aspect. The division was made according the traditional division of the old Galician houses and we chose the white color to continue with the main color inside. Inside the local we used different materials and lights (natural and artificial). The most important challenge was make an intervention in the Heritage in a responsible way. 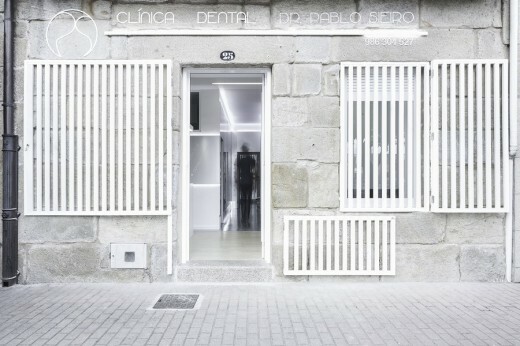 A backlit steel skin indicates, through its volume, the operating areas of the clinic, joining them with the original wall of stone. The floor and the metallic cover help us to perceive an area clean and aseptic, as well as the waiting room and the reception contain wood and tissue in order to create a more friendly area. With this Project we tried to emphasize traditional aspects from a contemporary point of view. 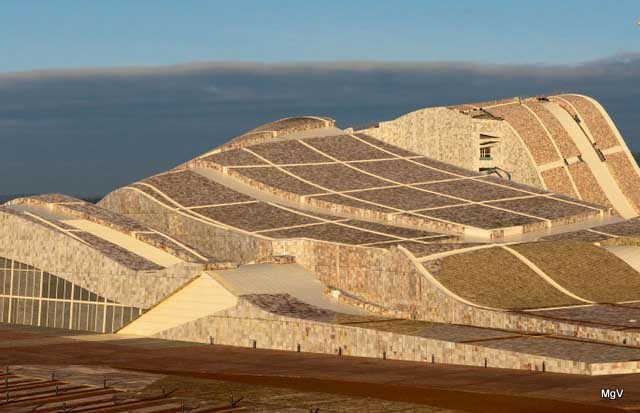 Project team:Vicente Pillado, Wenceslao Lopez, Alberto F.Reiriz.